"Elly Pear's Fast Days & Feast Days"
Chapters: Introduction, Why I started the 5:2, Storecupboard essentials, Essential equipment, Essential techniques, How and where I shop, FAQs, Breakfast and brunches, Weekday lunches and salads, Sopus, Weeknight dinners, Weekend cooking and entertaining, Nibbles, Sauces pickles and dressings, Puddings and cakes, Sample menus, Calorie index, Index, Acknowledgements & thanks. First of all I have a confession to make - I didn't know anything, nothing at all, about the 5:2 diet before I received this book. Yes, I saw the headlines on the Internet, but had virtually no knowledge about the diet itself, not even its basic principles. I got the book and thought immediately "I won't be able to cook from it so, if it's all dieting recipes" - I couldn't be more wrong! Diet or no diet, this is an inspiring cookbook. The book is written really well, the language is clear, personal and on many occasions very funny! 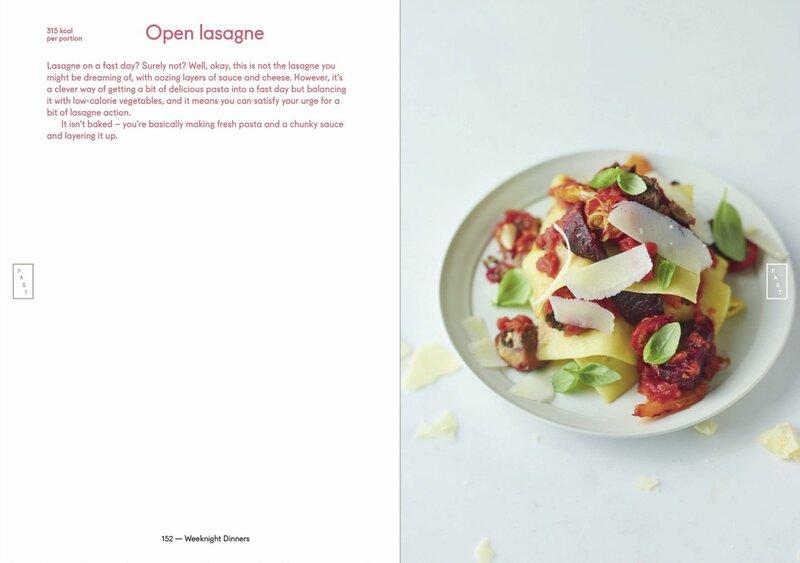 It's really a joy to skip through the pages and look at the bright photos of the dishes and their colorful titles. What scared me at the beginning, and made me think that I won't use the book that often - turned out to be its biggest advantage! This is by no means a diet book! It has great recipes, that can be made any time and it gives practical and useful information on how to eat cleanly and healthy, with superb ingredients and without going hungry. 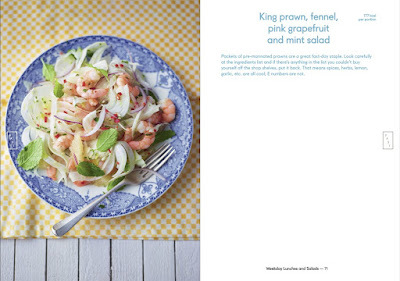 Each of the recipes I've tried so far have tasted great and have been very easy to follow. The things I've already try to make are "Seeded rosemary and thyme soda bread" - something I thought I won't like, because of all the herbs present, but was surprised how tasty it was and what a great accompaniment to ham and cheese, or even honey! "Banana and oat bars" - I'm usually very skeptical about baking with bananas, it ends in disaster on too many occasions, but... Those bars were to die for! They're also vegan, which is very useful considering that my little one has egg intolerance. I can also definitely recommend Chickpea curry, Beetroot and dill hummus, Sage and pumpkin soup and Lemon, polenta and rose shortbread. Who knows - I might give the 5:2 diet a go after all! 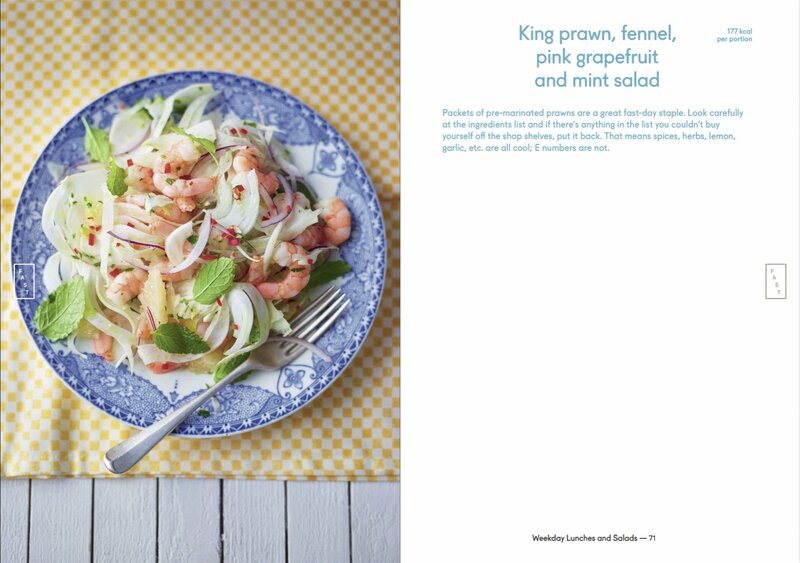 If you're thinking of going on that particular diet, I believe that Elly's book couldn't be a better start as an introduction to it, and a resource of inspiring recipes. Founding owner of the Pear Café in Bristol, a must-visit destination for fresh, delicious, handmade soups, frittatas, and sandwiches (including the hugely popular Ham, Emmenthal and Chicken Crackling Sandwich, named one of Buzzfeed’s “17 Sandwiches You Must Eat Before You Die”). 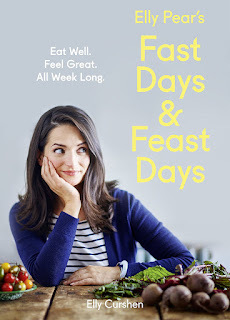 Elly has followed the 5:2 philosophy of eating since 2013 and is a food and cookery columnist for InStyle UK. I received a free copy of this book to review from Harper Collins. All thoughts and opinions stated in this post are 100% mine.